Skilled, Accounting & Medical Staffing in in Baytown & Beaumont Texas. When it comes to finding the right job in this highly competitive industry, SEV Staffing, Inc. will carry you on its shoulders – to get you there. SEV Staffing, Inc. specializes in the recruitment and placement of reliable and highly qualified staff for various industries. At SEV Staffing, Inc., we believe that the needs of our clients are paramount, and that our employees are our most valuable asset. SEV Staffing, Inc. is a pioneer in Career Solutions, Medical Staffing, General Staffing and Recruitment Services in Houston TX and Beaumont TX. We serve our partners through our network of professionals. Founded in 2001, our vision is to provide round-the-clock quality and premium customer service, without compromising professional excellence. We operate in the Greater Houston and Southeast Texas areas, with the most excellent companies as our clients. Our dedication in achieving the objectives of our business partners and candidates has strengthened our reputation as the staffing company everyone wants to work with. SEV Staffing, Inc. is committed to providing you with unparalleled levels of quality service, 24/7. The foundation of our success lies in transforming our promise into a reality, and in improving quality of life by changing the lives of people we meet. Your success is our success! We make it happen. We pride ourselves in finding the right candidate for the right position for our clients, whether it be temporary, temp-to-hire or direct hire. With our 32 years of combined experience in the staffing industry, we understand that every business has its unique challenges and opportunities. Our recruiting professionals are skilled at solidifying talent and business – identifying the ideal candidate for your company’s culture and its teams, needs, and goals. 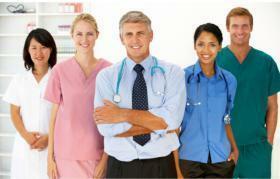 Contact us for Medical Staffing, General Staffing and Recruitment Services in Houston TX and Beaumont TX. We work to ensure that the right match is created through a deep understanding of your business needs and one that will drive results for you and your company. Who uses SEV Staffing, Inc. ?